Our eyes and eyesight are perhaps the most important of our senses on the road. Seeing is a highly active function. Our eyes continually move and adjust, receiving a constant flow of visual impressions. Normally, all this activity happens routinely and without noticeable strain. 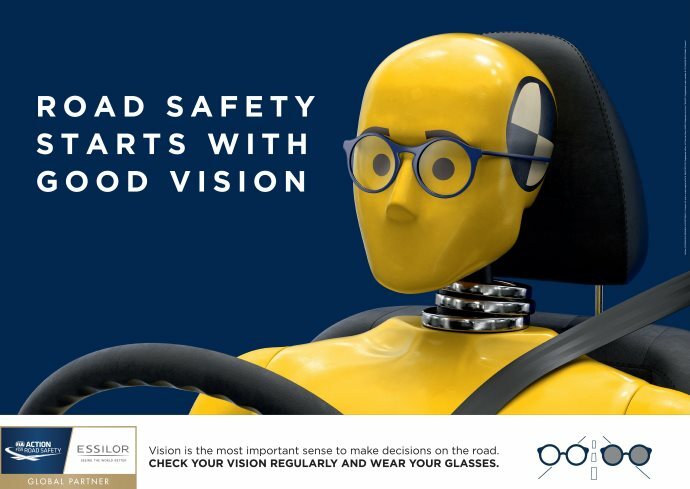 It is important to identify those factors that might place a strain on our eyes and reduce our ability to observe on the road. In this section, we will focus on the importance of protecting our eyes on the road and provide suggestions on how the correct measures might improve safety on the road. Ultraviolet (UV) light is the component of sunlight most responsible for eye damage. Excessive exposure, especially from light reflected from sand, snow or pavement, can produce a burn on the surface of the eye which is usually painful, but temporary. Too much-unprotected exposure to ultraviolet radiation (UV) can cause "photokeratitis." Just like sunburn on our skin, photokeratitis is sunburn of the eye. It hurts, makes the eyes red, sensitive to light and tearful. UV exposure can affect not only its surface but also its internal structures (the lens and retina). The UV light is a risk factor in the development of pterygium (a growth that invades the corner of the eyes), cataracts (clouding of the lens) and macular degeneration (breakdown of the macula). There are two types of UV rays that reach the Earth's surface: UVA and UVB. These rays can cause or speed up the progress of several diseases that affect the eye or its supporting structures. Many sun glare accidents happen in the early morning or late afternoon when the sun is on the horizon and little protection is offered by a car’s sun visor. Unfortunately, these times coincide perfectly with rush hour and the beginning of school days, making accidents more likely. Glare is a distracting and sometimes dangerous excess of bright light and can happen day or night. Glare is bothersome and discomforting; causing your eyes to work even harder. Your pupil's contract, your eyelids narrow and the muscles around your eyes contract. Your eyes must strain to see well, causing squinting, eye fatigue, and in extreme cases, even temporary blindness. In daylight, glare can occur when walking indoors to outdoors, moving from shade to sunlight, even from reflected light off of surfaces like cars or sidewalks. At night, glare can occur from oncoming headlights while driving, or from bright reflections off of wet roads, even signs. Blue light is visible light in the blue portion of the colour spectrum. The intense glare of light reflecting off snow or water contains blue light. Your eyes cannot focus clearly on blue light. Some scientists believe that routine exposure to blue light over many years may age the retina and increase the risk of blindness in some people over the age of sixty. Accidents due to sun glare occur frequently-there is however a simple way to help prevent this. Polarized sunglasses are available from your eye doctor and not only protect your eyes from dangerous UV rays, but also protect you from the dangers of sun glare. As a minimum legal requirement, motorists must be able to read a number plate from a distance of 20.5 metres (67 feet) and have a 120-degree wide field of view. A part of the driving population also suffers from "night myopia," when a lack of light can cause difficulty in focusing on distant objects. 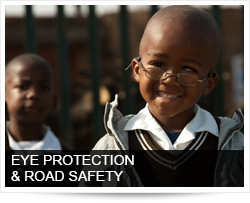 Motorcycle riders must wear protective lenses at all times, so night-driving lenses can be quite appealing to them. Sunglasses are most important to help us see comfortably and clearly in sunlight and to protect our eyes from the threat of permanent damage that could lead to cataracts and other eye diseases. Good, top quality sunglasses provide comfort and complete protection even during long exposure to harsh glare. Sunglasses - with or without a prescription - that can block out nearly all UV rays are now readily available, protecting the eyes and significantly reducing the risk of vision problems caused by sunlight. Your car lights are important to make sure that the headlamp glass is clean, the bulbs are working at full strength and your lights are properly adjusted to provide good road illumination while not causing glare for other road users. Wearers of contact lenses and sufferers from hay fever should also keep a spare pair of glasses in the auto.